Life can be full of stressors – the job, the financial woes, the annual car service being due... If you’re anything like the majority of Brits, you’ll be hoping to escape the rat race and the formidable English weather by jetting abroad this year; donning your sarong and arguing over who put their towel on the sun lounger first. Depending on where you are in the country, or what sort of holiday you are looking for, there are so many options to cater for your individual requirements, right down to the airport you choose to fly from. 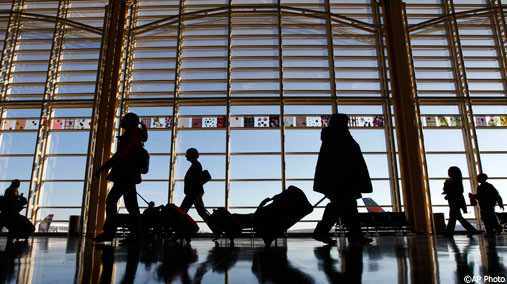 One of the main reasons for your choice tends to be location – which airport is the nearest and the easiest to get to? But this doesn’t always have to be the main reason for flying from there. Sometimes, your chosen destination isn’t served by flights from your ideal airport but flight connections between domestic airports can mean that your dream holiday can soon become a reality. Manchester airport is a hub of activity for holiday-goers. Offering both domestic and international flights, it’s one of the most popular UK airports outside of London. With a fantastic road network, allowing ease of accessibility (the Alderley Edge Bypass being a particular favourite), a Meet & Greet service to make car parking a breeze and more shops and food/drink outlets than you can shake a stick at, you can be sure to leave your stresses behind as soon as you enter the Terminal. As long as you don’t face any delays, that is. You don’t have to do all the travelling in one day, either. Particularly useful if you live further than a few miles from Manchester, or if, worst case scenario, you are stuck in a delay of epic proportions; a hotel near Manchester airport could give you a well-deserved time out between journeys.